This plate features an embossed Irish blessing verse along with a dimensional design and it is enhanced with Celtic knot-work and shamrocks. The ceramic Irish blessing dish measures 8" in diameter and a metal display stand is included. 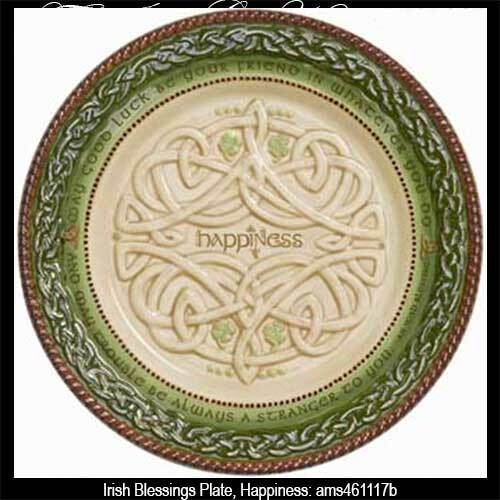 This Irish happiness plate is dishwasher and microwave safe and is gift boxed with shamrock and Celtic knot history cards that are complements of The Irish Gift House.